Rogersville: Betty Lou Lawson, age 67 of Rogersville, passed away Friday, November 30, 2018 at Signature HealthCARE of Rogersville. She loved her family so much and they were her life. Betty was loved by everyone she met and was a very sweet loving lady. She loved her children and grandbabies (her life was her grandbabies). Betty was preceded in death by her husband, Lester Eugene Lawson; parents, Tom and Monnie Sizemore; sister, Pauline Ringley; brothers, Guy Sizemore, Broten Sizemore and Clyde "T" Sizemore; special companion, Glen Kinsler; two very special nephews, Don Sellers and Hugh Kyle Sellers. 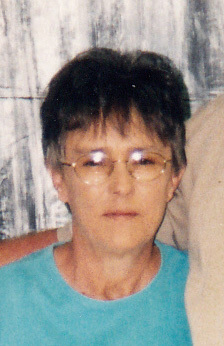 She is survived by her daughter, Betty Jean Johnson and husband, Donnie; son, Jimmy Wallen and wife, Regina; grandchildren, Dakota Johnson, Payton Johnson, Jordan Hice, Whitney Taylor, Alexus Wallen, Shante Wallen, Drew Gaskins, and Justin Stapleton; two very special nephews, Ken Sellers and Kyle Sellers; several great-granchildren; several nieces and nephews. Visitation hours will be 1:00 P.M. to 2:00 P.M., Monday, December 3, 2018 at Broome Funeral Home, Rogersville. Funeral service will be conducted 2:00 P.M., Monday, December 3, 2018 in the funeral home chapel with Rev. Shannon Kinsler and Rev. Doug Gibson officiating. Burial will follow in the Sizemore-Rogers Cemetery. Broome Funeral Home, Rogersville is honored to serve the Lawson family..